Roverway 2018 is just about to start and will be officially opened on 23 July 2018 by His Excellency Frans Timmermans, first Vice-President of the European Commission. Many of us will be attending some of Roverway, some as part of the open invitation to an IC Meeting during Roverway 2018 from the International Commissioners of Scouting Nederland. 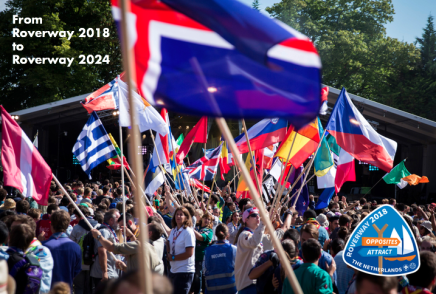 On this occasion, the European Committees of WAGGGS and WOSM are pleased to announce that the next Roverway will be held in 2024.